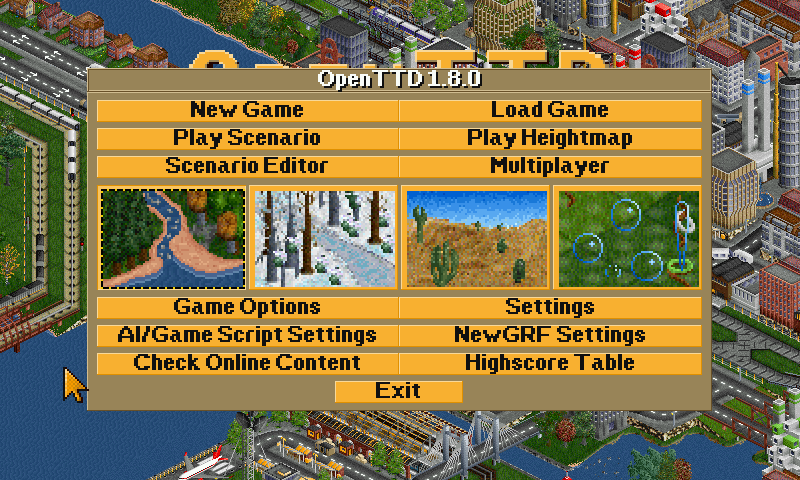 OpenTTD is a transport simulation game based upon the popular game Transport Tycoon Deluxe, written by Chris Sawyer. It attempts to mimic the original game as closely as possible while extending it with new features. - Update to version 1.2.3. I have compiled this with cdevtools now. I never released 1.2.0 because it was considerably slower than 1.1.5 - it seems ok now; let me know if not. - Compiled with patch from Sepulep (patch inside src folder), to fix offset. - Updated previews with zBase 32bpp. - Updated sources, previews, OpenGFX 0.52 RC and default config (Interface double size, left mouse click to scroll, 3 AI by default, etc ). 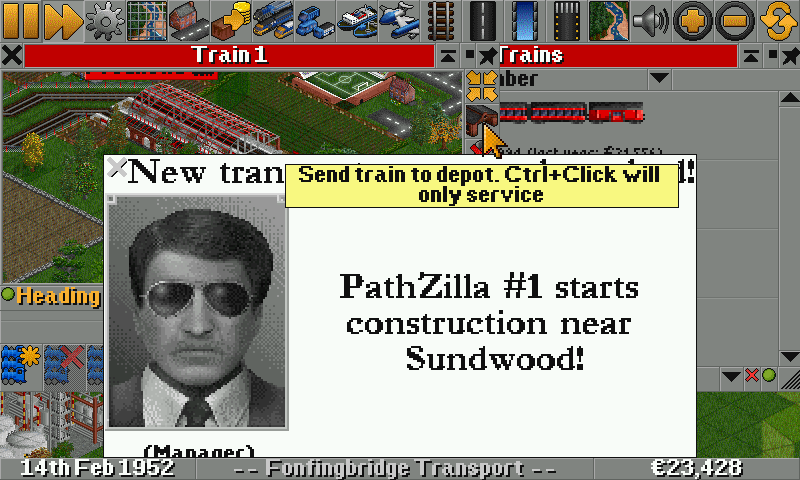 - Added Civil AI, Simple AI, NoCAB AI and PathZilla AI. Sure. 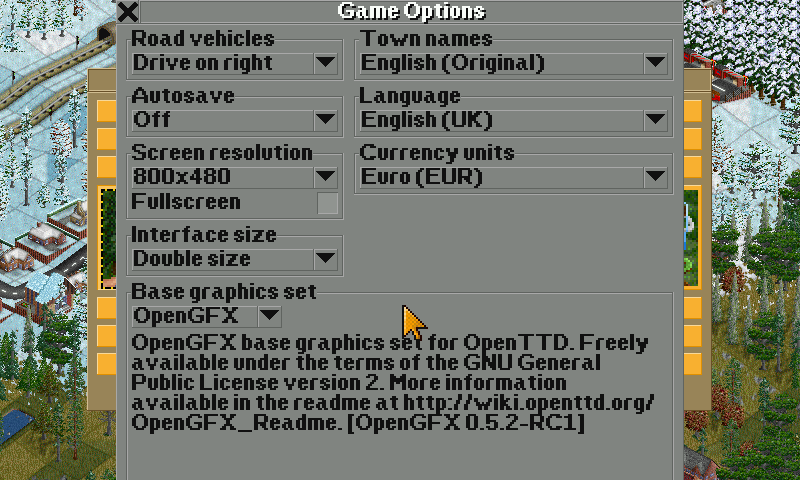 For now going back to normal sized interface and OpenGFX BigGUI addon is a good temporal solution. 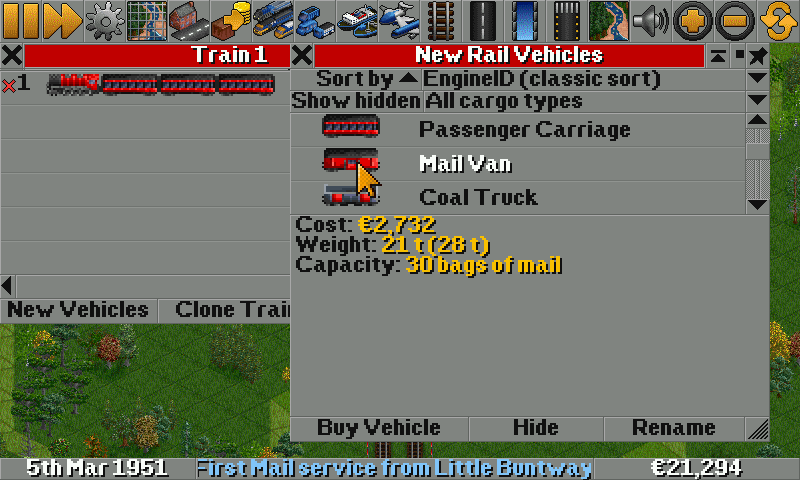 Canseco did you communicate this kind of small screen issue to openttd devs ? it may be worth it. At least you can still go back to normal size on Game Options menu, change settings and back to double size. Not the best solution for now, but maybe they will make it better next release, other windows fit well. Many thanks for the dedication to keep your ports up to date!